This exciting nail treatment is so unique because it optimizes the natural beauty of nails, making them healthy and attractive without the need for artificial tips and wraps. 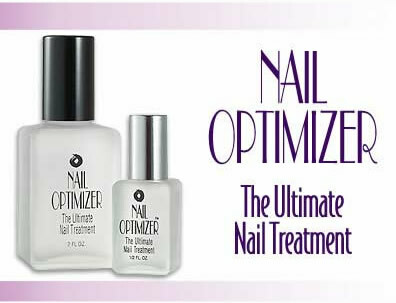 When used regularly, Nail Optimizer will make a stronger, peel and chip resistant nail! In as little as seven to ten days, customers report noticeably improved nails. Formulated with calcium, keratin, and natural proteins to nourish and strengthen nails naturally. Which nutrients speed up hair growth?